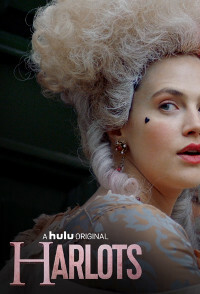 Harlots is a British period drama television series created by Alison Newman and Moira Buffini. The series premiered in March 2017 on ITV Encore in the U.K. and Hulu in the U.S. The series focuses on Margaret Wells, who runs a brothel in 18th century England and struggles to raise her daughters in a chaotic household.